Black flare pants Zara vest, Tory Burch cuff, Celine nano bag and Jeffrey Campbell wedges! 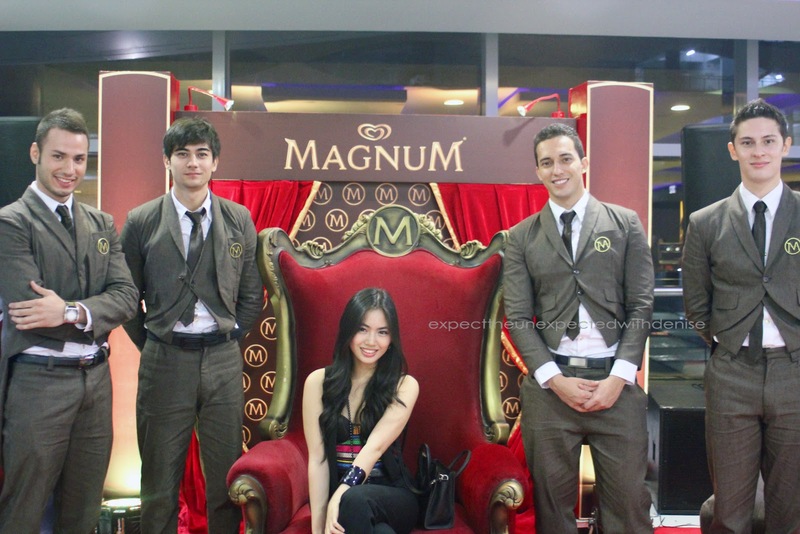 Yes, I had the chance to be a Magnum Queen surrounded by these good-looking gentlemen! The moment she saw me, she said 'My Mathematician!' haha how cute! 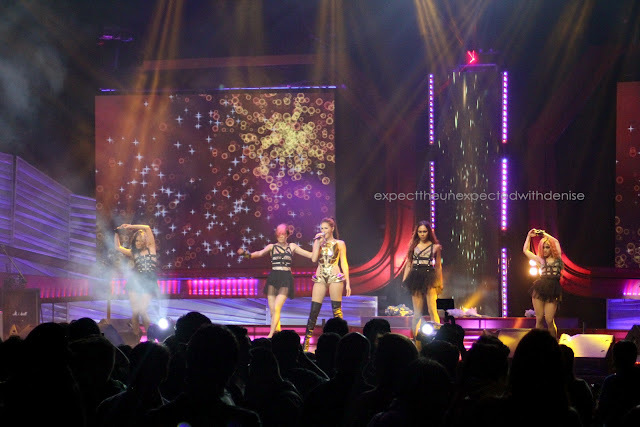 Hott ladies, Solenn Heusaff and Lovi Poe performing a song together! Dennis Trillo and super pretty Jasmine Curtis awarded as well! It was nice see Candy Cutie, commercial model and dancer Rammy Bitong there! With Shamcey Supsup, who has the body, brains and looks that's truly 'to-die-for'! 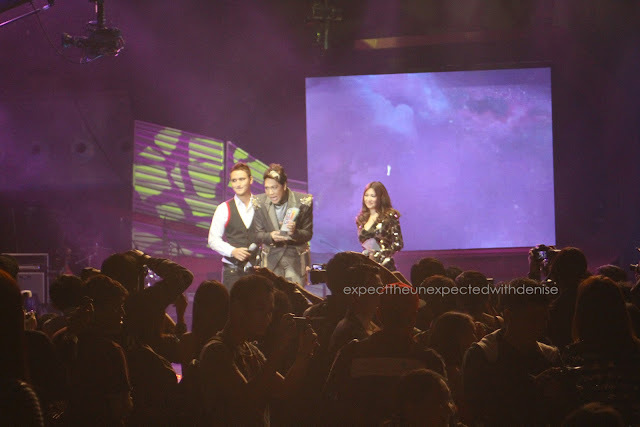 Magnum presented Solenn as she sang Titanium. Love her outfit in this performance! Amazing night at the OMG Yahoo Awards Night! Proud of you, tita Marilen Nunez! You did a great job!